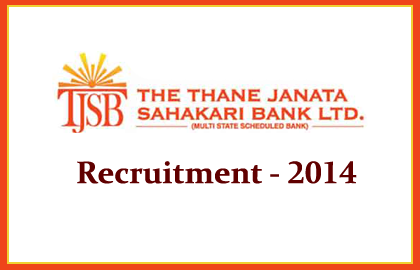 Thane Janata Sahakari Bank has announced recruitment for the post of Branch Manager, Assistant Branch Manager& Officer’s in Junior Management Level. Eligible candidates can apply here on or before 31/10/2014. More details about this recruitment were mentioned below. 15 years of banking experience with 3 to 5 years in managerial position. Apply Mode: Eligible candidates can apply through online by visiting bank’s website:www.tjsb.co.in or by clicking the link shown below. Last date for submitting online application is 31/10/2014.